Did you know that Monday, September 24th, is National Punctuation Mark Day? 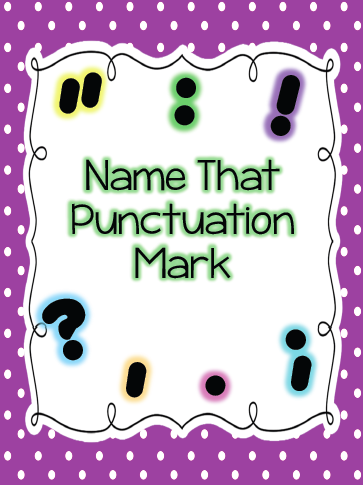 I made a game called, Name that Punctuation Mark, that you can play with your class. 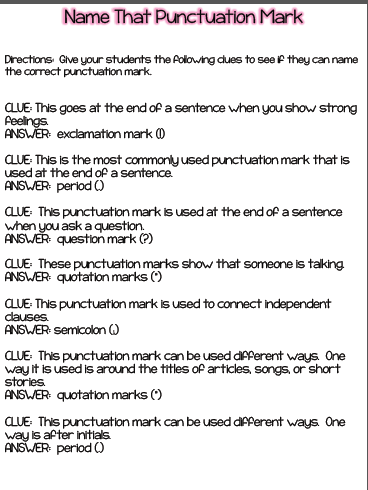 You give your students clues and they guess which punctuation mark is needed. 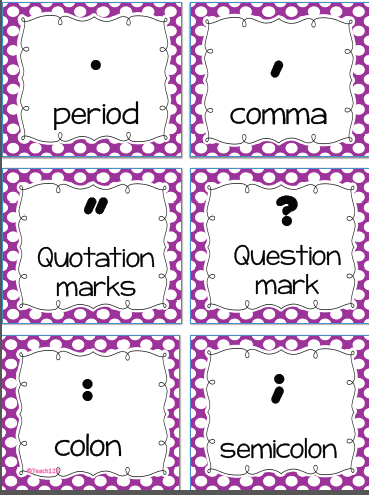 There are also punctuation mark signs you can show your students. You can download this game for free by clicking HERE. I am joining Lori @ Teaching with Love and Laughter‘s linky party. Click on the picture below to find some new grammar lessons, tips, and ideas. Click on the picture below to find more great lessons that are free. These are great ideas about teaching punctuation to students! Michelle, thanks for linking up! You know I LOVE grammar games and I have this one safely saved! Thanks so much!